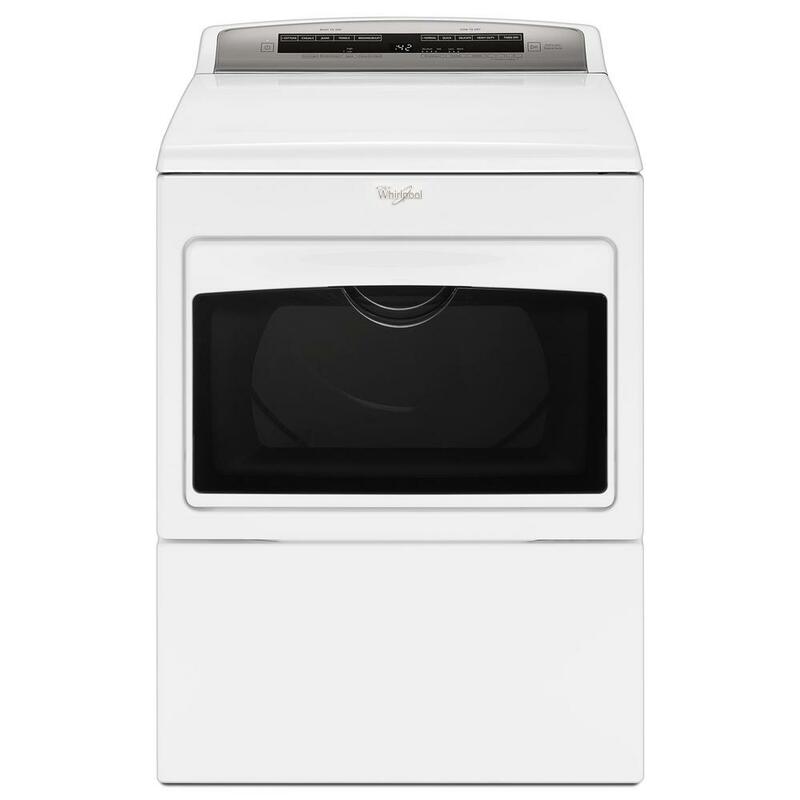 Hamper Door - Easily transfer loads from the washer to the dryer and from the dryer to the laundry basket without worrying about clean clothes falling on the floor with this wide-opening door. Intuitive Touch Controls - Let the dryer guide you to the right cycle combinations or customize up to 26 of your own to get the right type of fabric care for whatever you're drying. Sanitize Cycle - Eliminate 99.9% of common household bacteria for optimal fabric care. Estimated Time Remaining LED Display - Keep an eye on how much time is left during any cycle and easily see your selected cycles, options and available choices with the illuminated digital console. Wrinkle Shield™ Option - Helps keep wrinkles from setting into your clean clothes with intermittent tumbling after the dryer cycle ends.